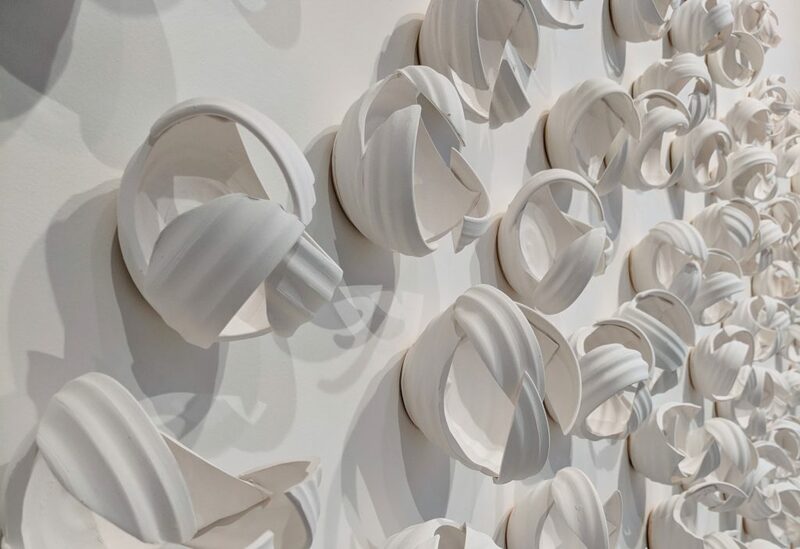 Professor and ceramicist Monica Rudquist joins forces with Judy Onofrio, a mixed-media sculptor, to present their joint exhibition “Accumulation” at The Catherine G. Murphy Gallery in St. Paul. The exhibition is rooted in the artists’ shared passion for form, material, and space. Though the new bodies of work are distinct and unique to each artist’s perspective, their art interacts and aligns seamlessly—bringing “Accumulation” to life. 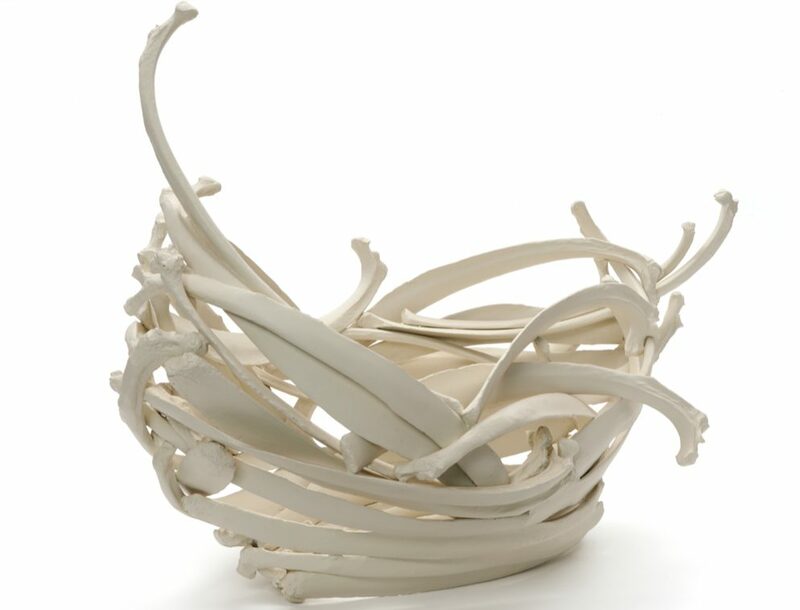 Their works are similar in color (a monochromatic off-white) and both take on a “vessel” theme, but it’s their shared belief in the power of clay that makes them the perfect pair. The difference? 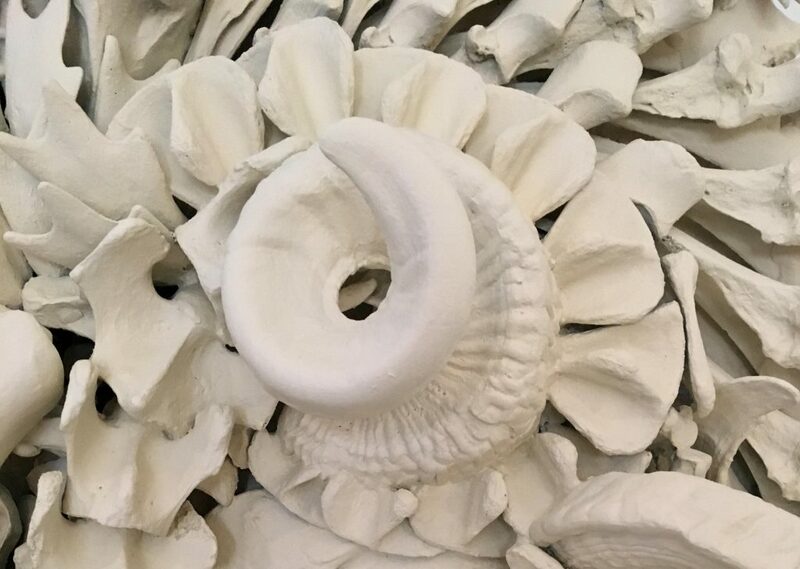 Rudquist creates wall installations by arranging pieces of wheel-thrown porcelain, while Onofrio assembles cast animal bones into bowls, vases, and more. Onofrio (who is also Rudquist’s mentor) came up with the name “Accumulation” for the exhibition. 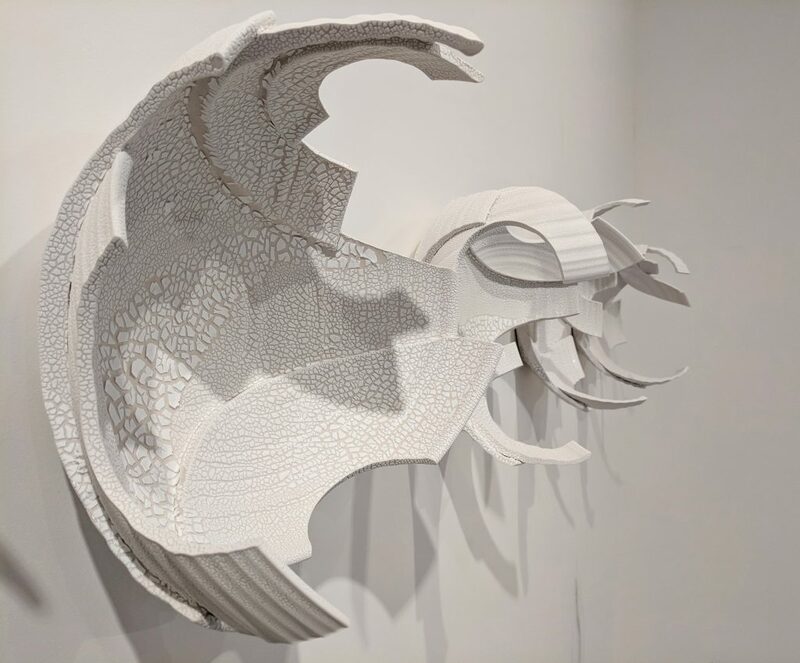 Over a span of 50 years, Onofrio has worked her way through many art mediums—including jewelry, mosaic, large-scale installations, and now, bone sculpture. As morbid as it may seem, the art goes deeper than what’s on the surface. “I seek to move beyond a specific narrative, and reach toward a universal experience of beauty that speaks to the transitory nature of life,” Onofrio says in her artist statement. Meanwhile, Rudquist reinvents functional clay wares, turns them into abstract wall art, and hangs them in a vertical, playful fashion. And in an essence, she absolutely is. She describes herself as artist, maker, teacher, and collaborator. Not only is she an assistant professor at St. Kate’s, but she’s also the co-president of Minnesota Women Ceramic Artists and a founding member of Northern Clay Center.